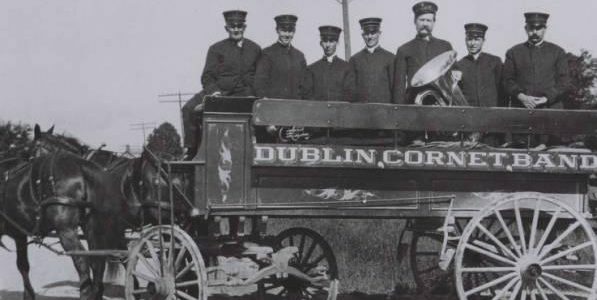 The original Dublin Cornet Band was founded in 1879 and represented Dublin as it toured around central Ohio for over 50 years. As band membership dropped during WWII, the band eventually folded. In 2010, through the vision and dedication of the Dublin Historical Society and generosity of the Dublin Foundation, this significant piece of Dublin’s heritage was resurrected for the City’s Bicentennial Celebration. This recreation of the Dublin Cornet Band has brought together a group of ten local professional-level musicians who are volunteering their time and talent to help represent Dublin at many community events. Since 2010, the Dublin Cornet Band has performed at a variety of city events including the Emerald Celebration, St. Patrick’s Day Parade, Blarney Bash, Independence Day Concert, Jig Thursdays, Emerald City Music Games, Dub Crawl, the Dublin Irish Festival, Dublin Field of Honor, Dublin Historical Society Heritage Day, and the Dublin BREAD Festival. This versatile group performs a variety of music in the small brass band tradition including 19th/early 20th century music (music popular around the time of the original Dublin Cornet Band), Celtic music, New Orleans brass band repertoire, and German Oktoberfest music. Dr. Herak is a four time graduate of The Ohio State University having earned his PhD in Education. As an undergrad he was a member of The Ohio State University Marching Band for 5-years and can still be found playing with the TBDBITL Alumni Band on occasion. 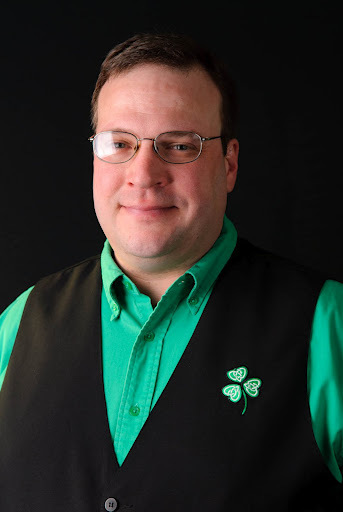 In addition to directing and playing with the Dublin Cornet Band, Dr. Herak is co-founder of the Dublin Silver Band, where he continues to play Eb Bass. Dr. Herak was a secondary science teacher for 18-years, primarily for Westerville City Schools. However, he did take a leave of absence to teach at Aldenham School near London (UK) where he performed and contested with a plethora of British Brass Bands. Dr. Herak is currently serves as a Senior Lecturer and Course Coordinator in the Department of Engineering Education at The Ohio State University. Dr. Herak is a member of a variety of professional education organizations and has presented at education conferences at the state, national and international level including the Science Education Council of Ohio, National Science Teachers Association, International Consortium of Research in Science and Math Education and Ohio Music Education Association.